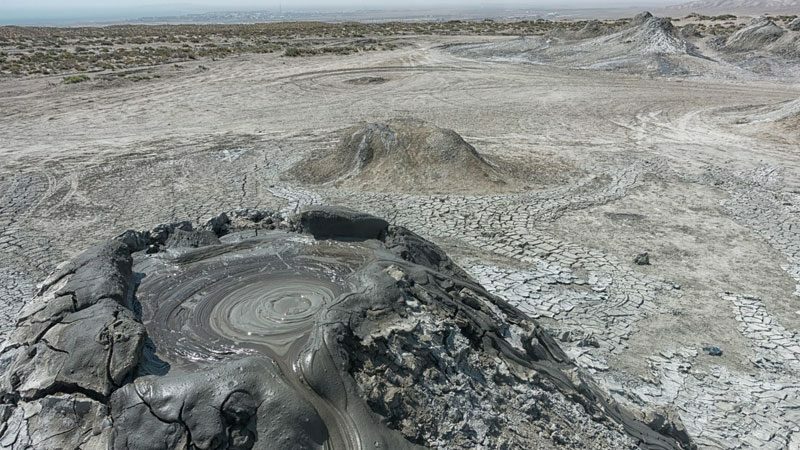 According to the number of mud volcanoes Azerbaijan takes first place in the world. 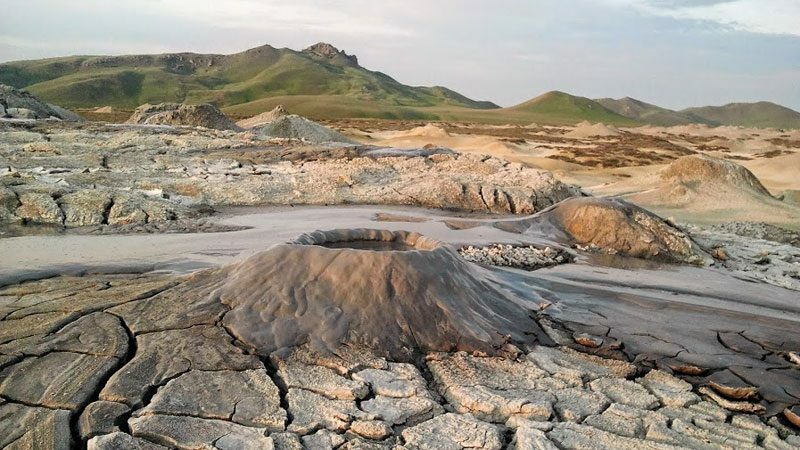 Approximately 350 of 800 existing mud volcanoes are found in Azerbaijan. 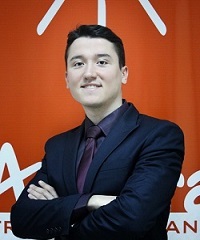 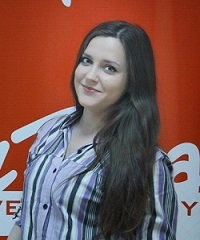 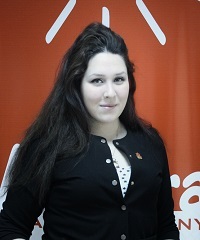 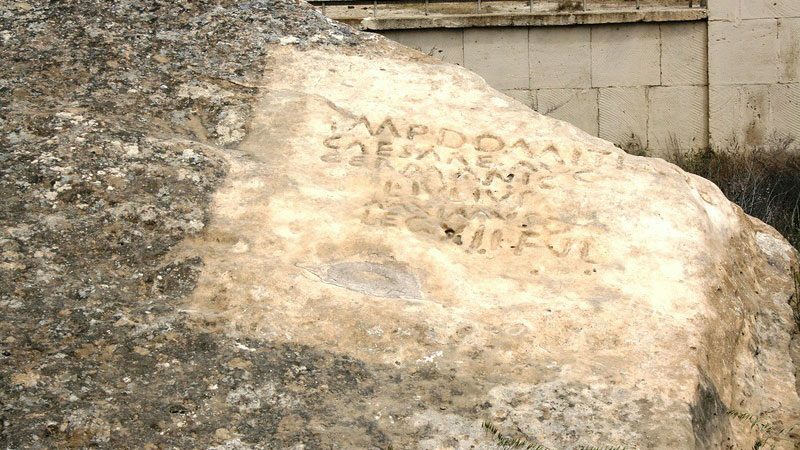 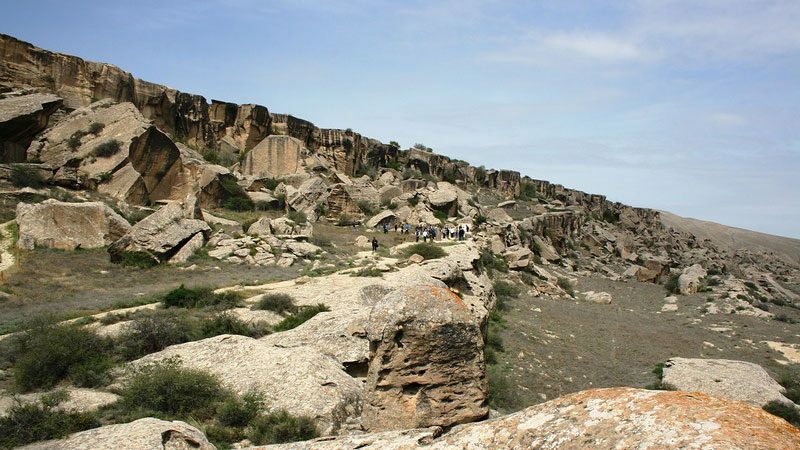 Most of them are concentrated in Gobustan Region. 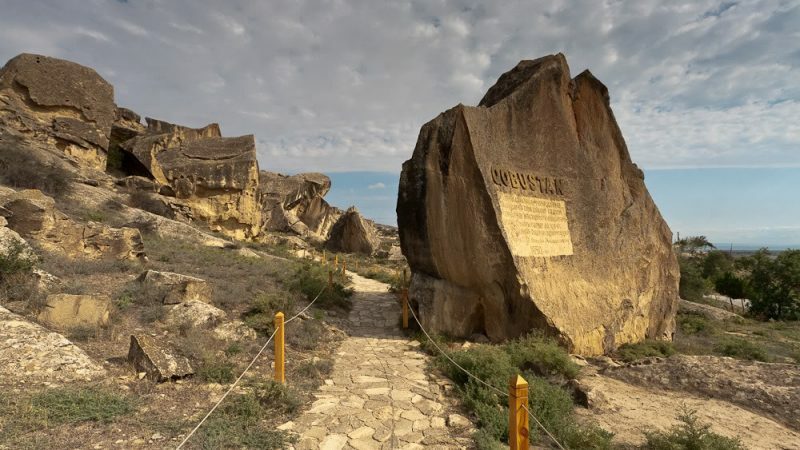 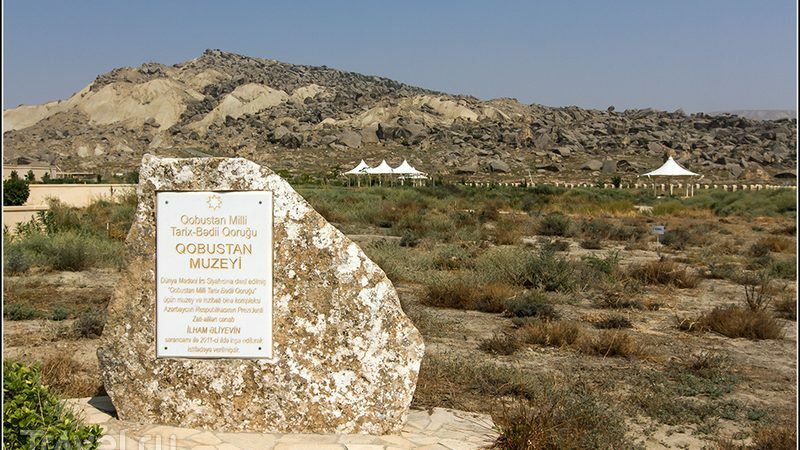 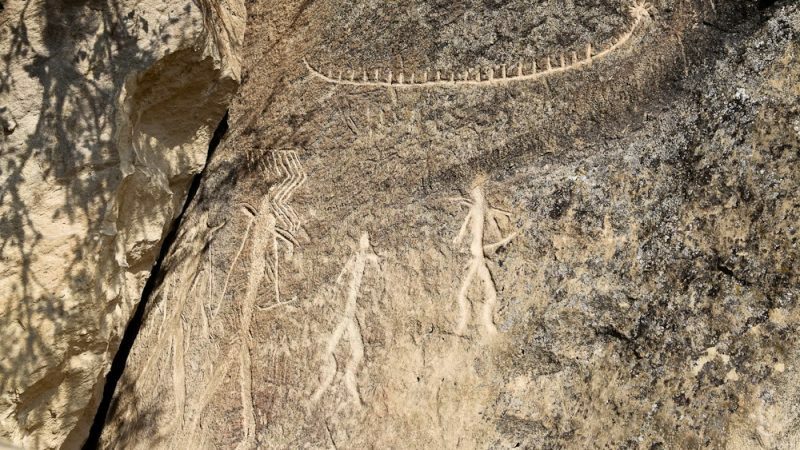 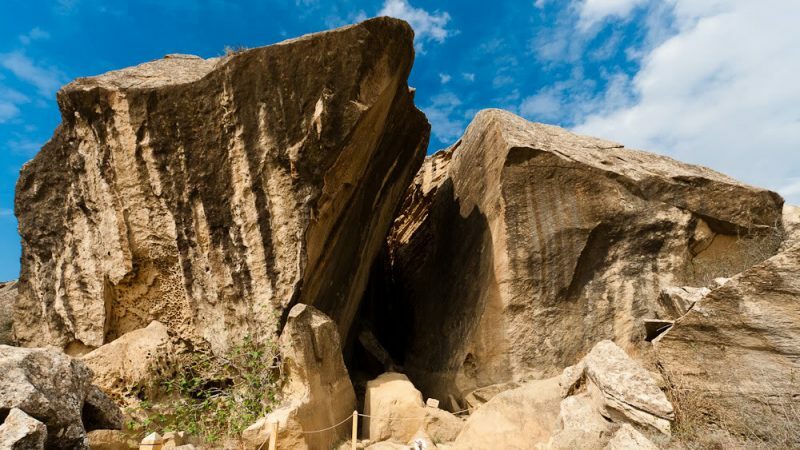 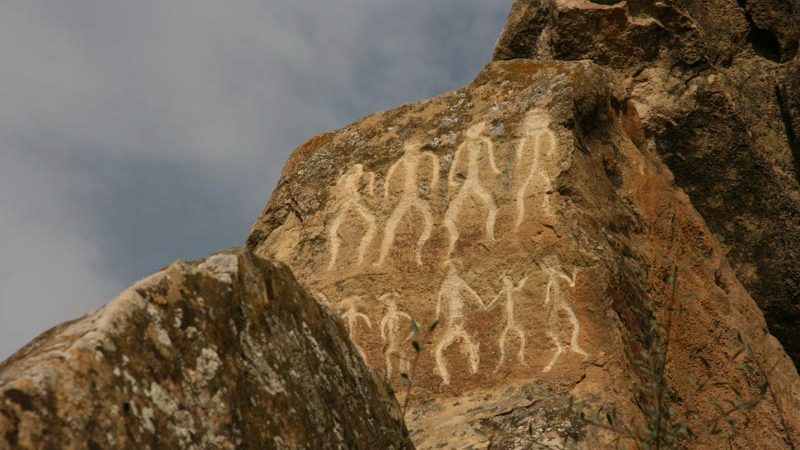 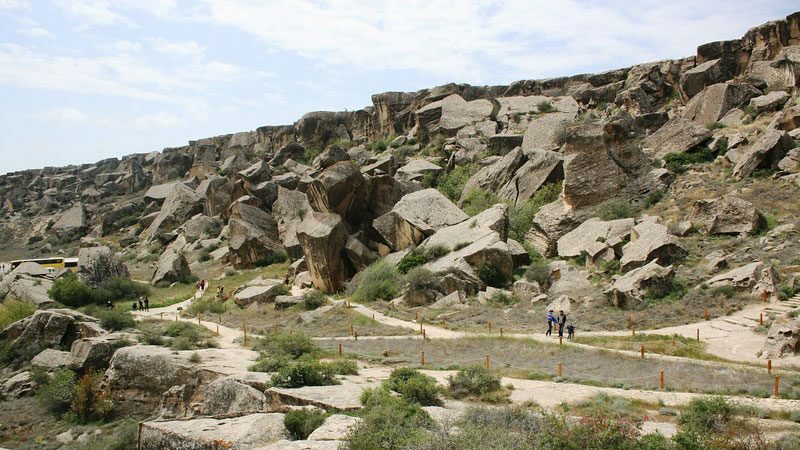 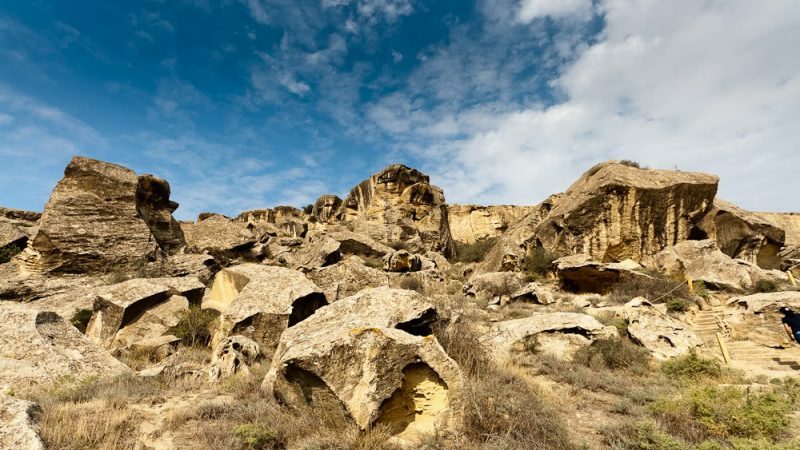 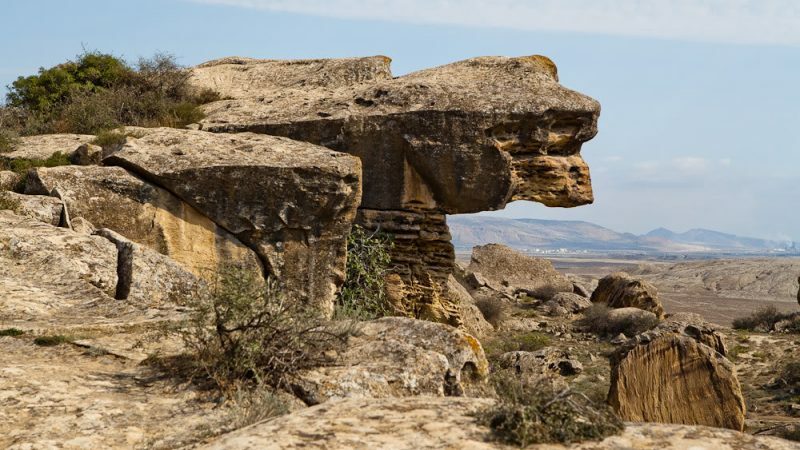 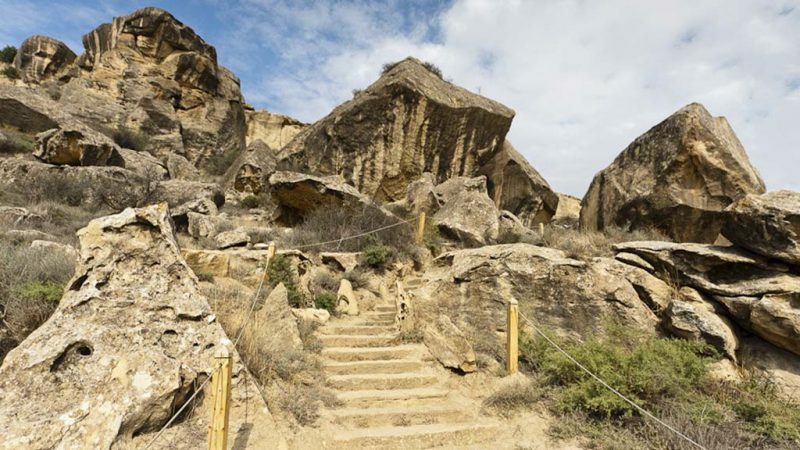 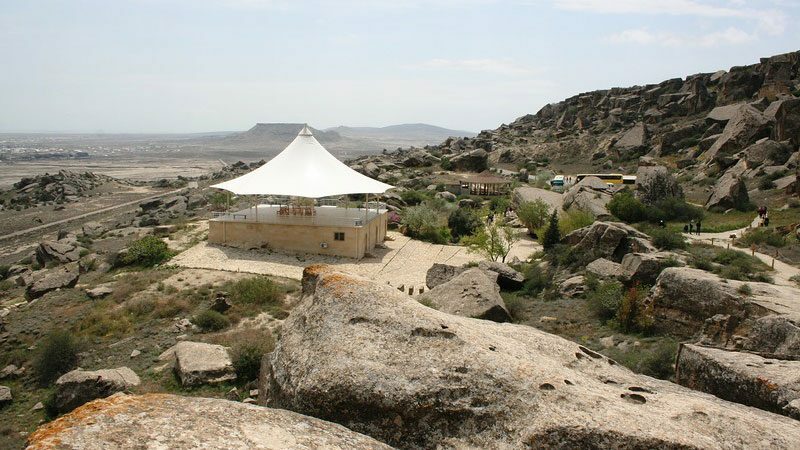 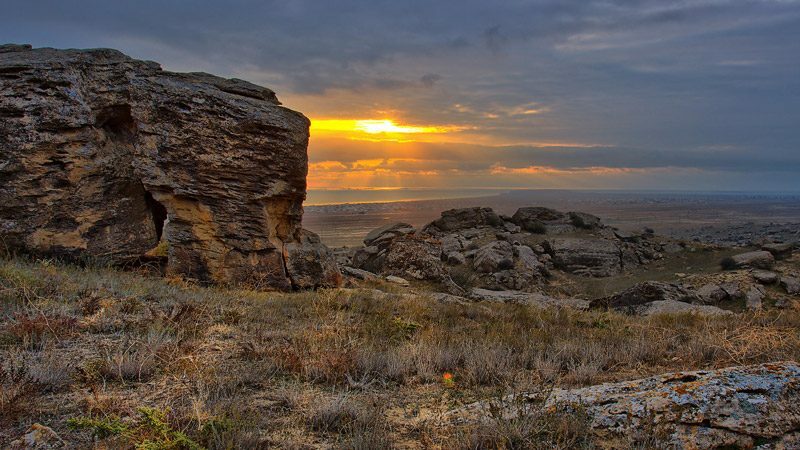 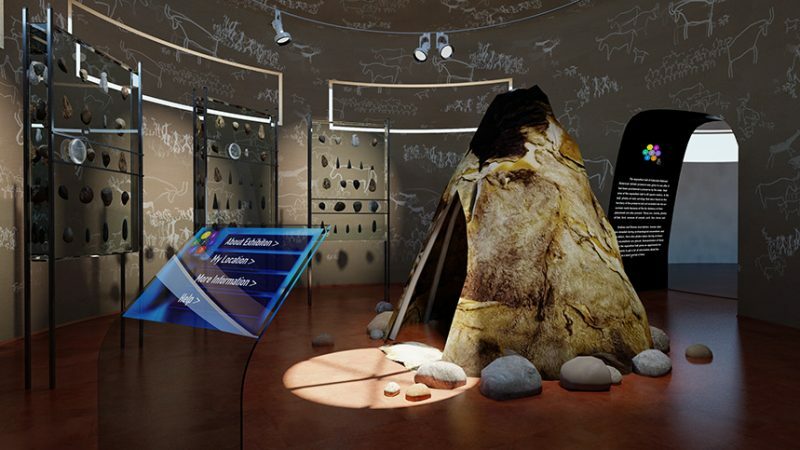 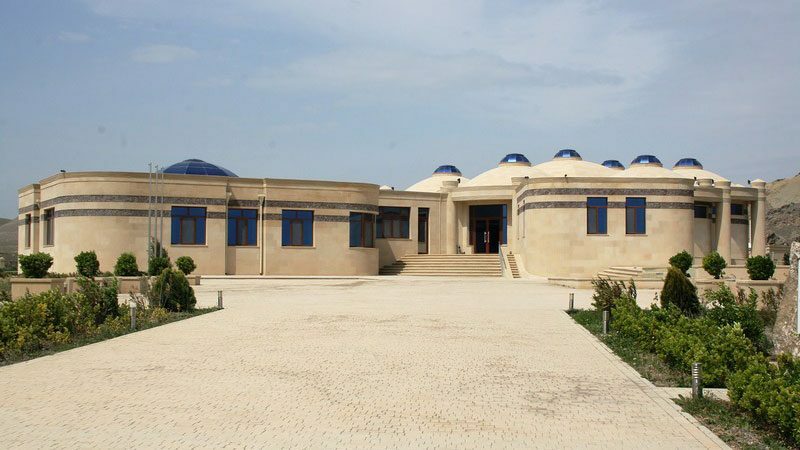 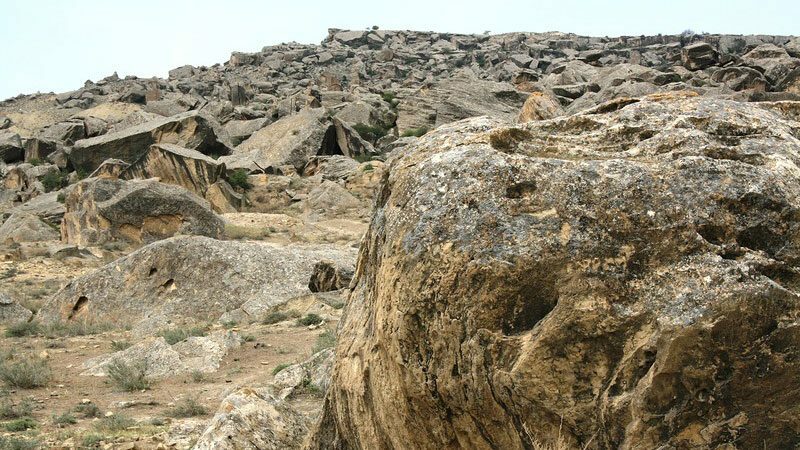 There is a group of active volcanoes Dashgil situated to the east of the Gobustan museum. 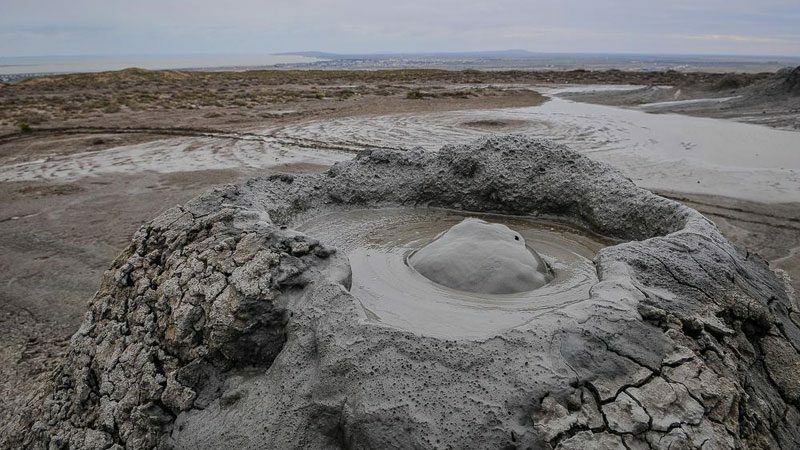 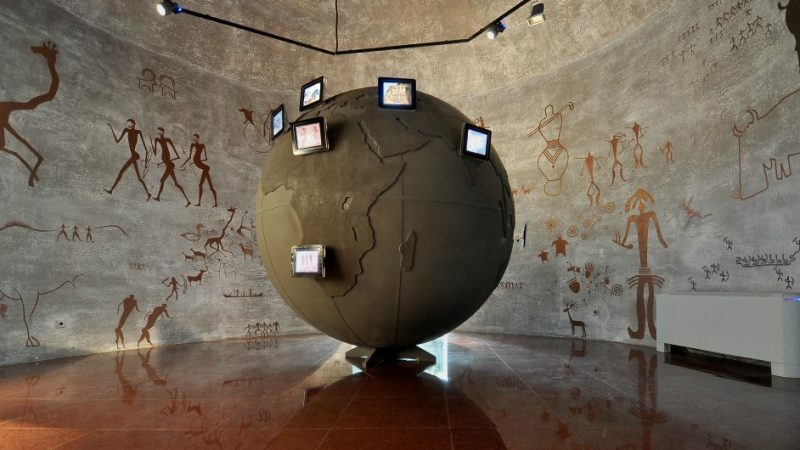 You will be able to see it very close and climb to the very crater of mud volcanoes and watch the gurgling liquid clay. 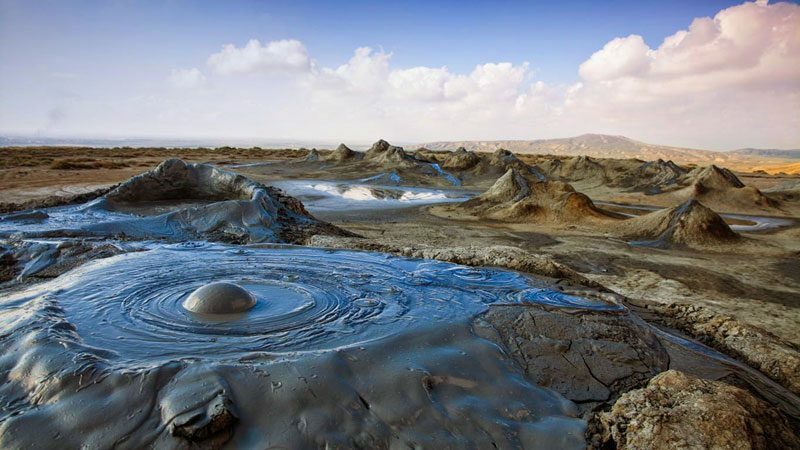 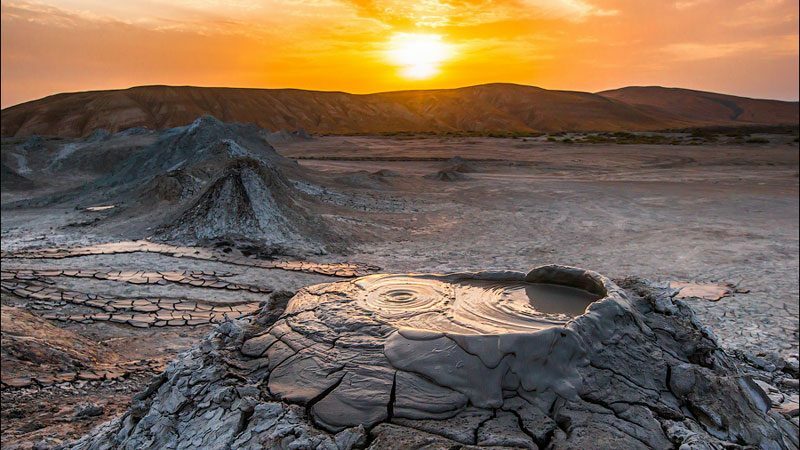 Beautiful scenery, will make you feel like you are on the Mars planet (The scientists made such analogy because the surface in the Gobustan is very similar to the surface of the Mars) and the constant mud gurgle creates a sensation of an unearthly surface.